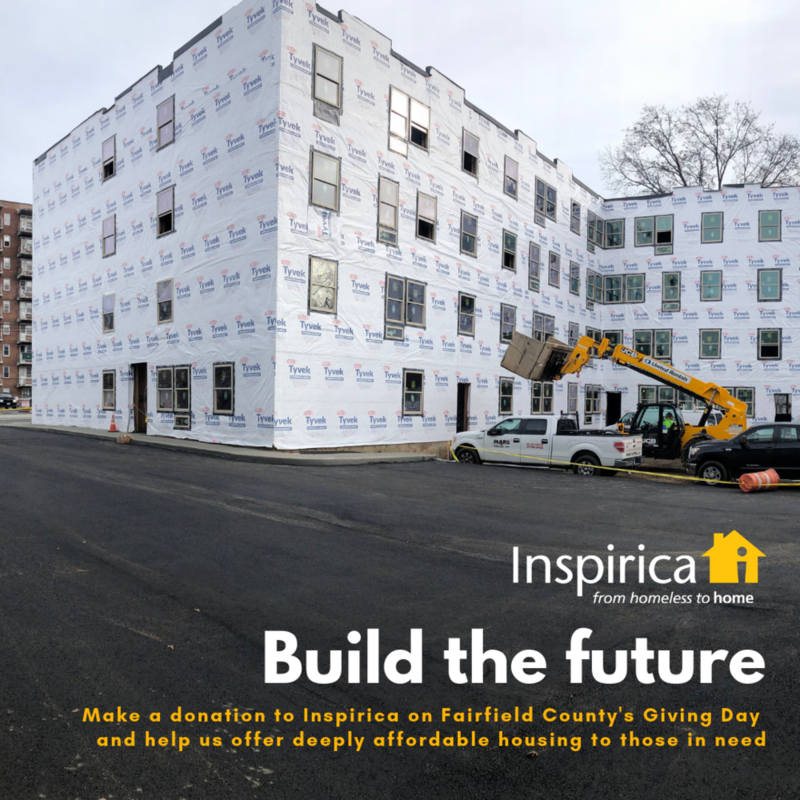 Fairfield County Giving Day — Inspirica, Inc.
Support Inspirica for Fairfield County's Giving Day, our region's biggest philanthropic event of the year! On Thursday, February 28, our community will unite around causes they believe in and support local nonprofit organizations. We hope you will contribute to Inspirica through our Fairfield County Giving Day page, so that we can continue to help the most vulnerable among us and achieve our mission to break the cycle of homelessness. Why give on Fairfield County’s Giving Day? Participating organizations are eligible for special prizes throughout the day — these bonuses increase the impact of your gift! We’re social! Help us win special prizes by sharing the below Fairfield County Giving Day graphics and posting about us on Facebook, Twitter, or Instagram!